Haltech PS2000 Toyota 2JZ Terminated Harness KitIncludes pre-wired M&W Pro-16b 6-wire CDI with factory coil ignition harness.Suits Square Bosch EV1 injector connectors. Haltech PS2000 Toyota 2JZ Terminated Harness Kit Includes pre-wired HPI6 15AMP 6CH Ignition Module with factory coil ignition harness. Suits Square Bosch EV1 injector connectors. Haltech PS2000 GM GEN III LS1 & LS6 Non DBW Terminated Harness Kit Suits Square Bosch EV1 injector connectors. 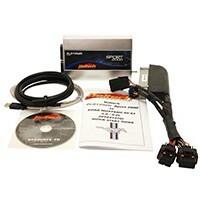 Includes ECU, Engine Harness, & Fuse Block Kit. Haltech PS1000 Mazda 13B Terminated Harness Kit Includes flying lead ignition harness. Suits Square Bosch EV1 injector connectors. Haltech Includes pre-wired LS1 ignition coil harness. Suits Square Bosch EV1 injector connectors. 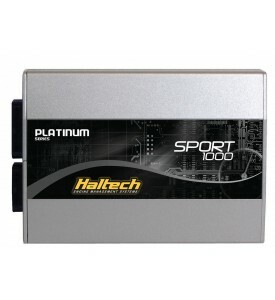 Haltech Includes flying lead ignition harness. Suits Square Bosch EV1 injector connectors.